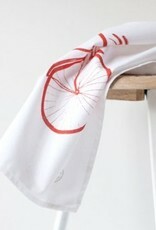 White tea towel with a screen printed of an Old Irish Bicycle design. Sealed with Irish shamrock logo in bottom right corner. 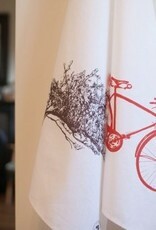 Designed & screen printed in Ireland. 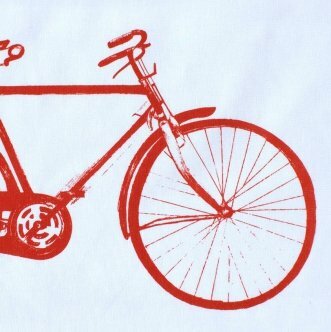 The hand drawn illustration is of a Irish 'High Nelly' bicycle which was one of the most popular modes of transport in Ireland up until the 1950’s. 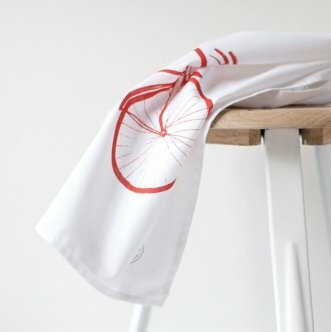 They are making a comeback around the Irish streets as a trendy vintage bicycle and the original versions can still be found in old farms or at tourist destinations around Ireland. 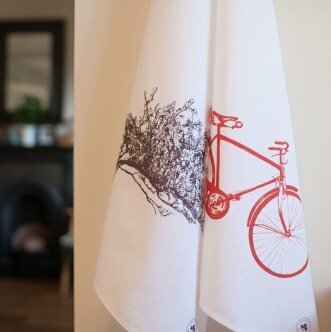 This Irish gifts and homeware decorated with nostalgic illustrations by Máire McKeogh evokes fond memories and celebrates the generosity and love of Irish friends and families. Designed in Co.Clare by Sealed with Irish Love. 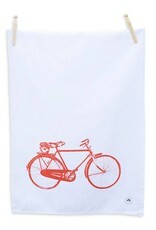 A tea towel to wash your worries away. 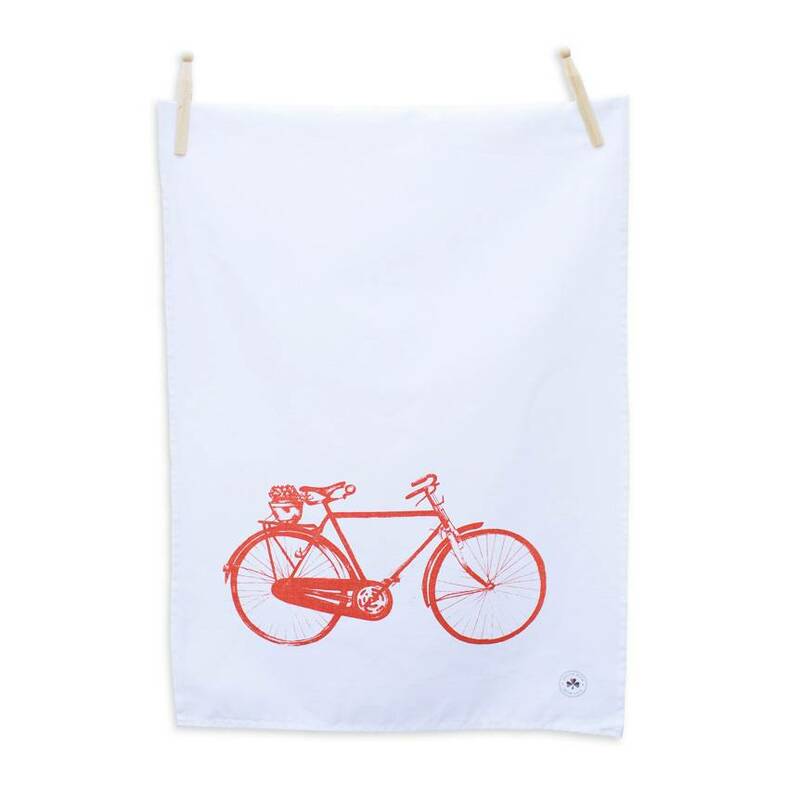 This lovely big tea towel has been designed and silkscreen printed by hand on unbleached 100% natural cotton. 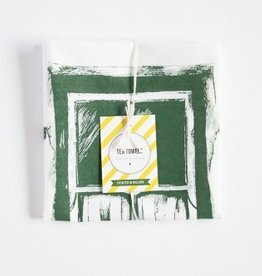 White tea towel with a screen printed Irish Cottage Window design. Sealed with Irish shamrock logo in bottom right corner. 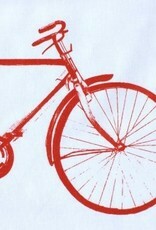 Designed & screen printed in Ireland. 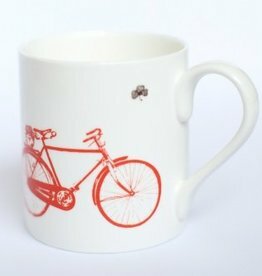 Fine bone china mug printed with a beautiful hand drawn Old Irish Bicycle and shamrock design. Sealed with Irish Love shamrock logo on back stamp. 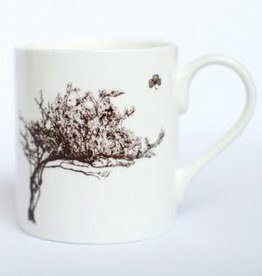 Fine bone china mug printed with a beautiful hand drawn Windswept Hawthorn Tree and shamrock design. Sealed with Irish Love shamrock logo on back stamp. 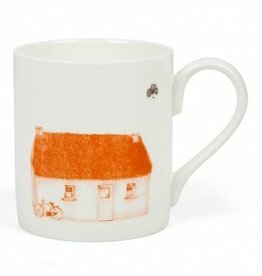 Fine bone china mug printed with a beautiful hand drawn Irish Thatched Cottage and Sealed with Irish Love shamrock logo on back stamp.